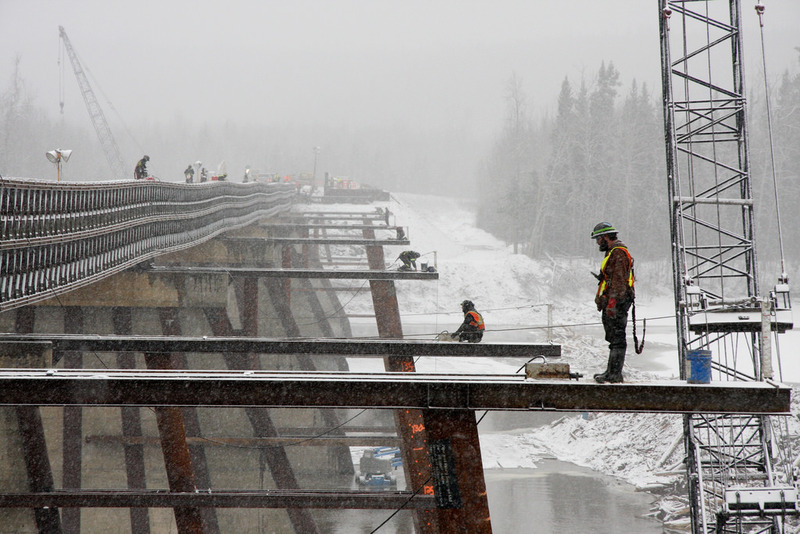 Consulting engineers are being recognized for excellence in B.C.’s transportation infrastructure designs, for their outstanding work on major bridge replacements, highway safety upgrades, remote avalanche-control systems, and separated cycling and walking paths. The UltraLoft offers drivers an integral cab and sleeper design for Peterbilt’s flagship on-highway Model 579 that provides the ultimate level of driver comfort and the distinctive style and quality Peterbilt is known for. On March 13th, 2018, Frontline Machinery, in partnership with Keestrack, is hosting their annual Canadian Demo Day. This special event brings together customers and stakeholders from the aggregate and recycling industry for a live, hands-on demonstration of crushing, screening and stacking conveyor systems. Daimler Trucks North America (DTNA) announced the start of vehicle production on February 5, 2018 with the new Detroit DD8 engine. The engine is the latest addition to Detroit’s expansive powertrain portfolio. The success of the DD8 engine further increases Detroit’s overall market leadership and complements the already-in-production DD5 engine for medium-duty and vocational markets. Manufactured at the same world-class facility as the Detroit DD13, Detroit DD15 and Detroit DD16 engines, as well as the Detroit DT12 automated manual transmission and Detroit axles, the new DD8, along with the DD5, will strengthen Detroit’s line-up of powertrain offerings. Detroit has continued to evolve through technological innovations and an ever-expanding product portfolio to provide customers with an array of solutions for their businesses. Starting with the launch of the Detroit heavy-duty engine platform in 2007, Detroit components continue to set industry benchmarks today. In fact, Detroit maintains a 95% engine penetration rate across all heavy-duty Freightliner and Western Star truck models. Also, the DD5 engine – Detroit’s first medium-duty offering – has been chosen by customers one-third of the time when there is technical coverage for their application. The DD8’s best-in-class maintenance intervals are up to three times longer than the competition. One of the features designed with the vocational market in mind is variable exhaust cam phasing, used at low engine speeds to increase exhaust temperatures and increase uptime by reducing the need for manual regenerations. The DD8 also has an impressive B10 life of 400,000 miles, backing the company’s commitment to delivering a robust and reliable product to this market. Available for Freightliner M2 106, 108SD and 114SD truck models, the DD8 engine is ideal for segments such as pick-up and delivery, utility, construction, dump, mixer, plow, towing and recovery, refuse, and fire and emergency. The Construction Industry Has Had A Troubled History With Productivity. For the first time, the Detroit DD8engine was showcased at the 2018 World of Concrete early this year in January 26-28 in Las Vegas). The engine was featured alongside Freightliner Trucks' breadth of options for the vocational market. xStorage is a portfolio of energy storage solutions that give you access to safe, reliable and sustainable energy. The home storage unit gives Nissan’s electric vehicle batteries a ‘second life’. By partnering with Eaton, we provide scalable energy storage systems fit for your homes and your business, allowing all of us to benefit from the transition towards a more sustainable society. Nissan and Eaton have put their heads together to create xStorage, the product of over 170 years of combined sustainable energy experience.